I’ve always wanted one of these, actually want one in 44 as well but I was in my local shop and they have a lightly used one that I can get for $550 OTD, seems like a great price but I wasn’t sure what these go for used. Any input on the price and on the rifle in general would be greatly appreciated. They are fine if you don't expect to run them like Chuck Connors in "The Rifleman". They don't like to go fast. I've not seen one make it through a match without a jam. Now, have I seen all of them? No, not by a long shot. I'm just talking about the ones I've seen. On a personal note, I've not been able to get past the lack of loading gate. I'm not trying to convince you one way or another. That is a very good price. I will use it as a range gun and maybe to hunt hogs so I’m ok if it’s not competition fast, it’s a beautiful fun and I thought that price was great too, it also has a very nice leather sling and the big loop is wrapped in leather as well which looks amazing to me. I have one. Great rifle. It is cheap to shoot with 38's. Like shooting a louder 22. 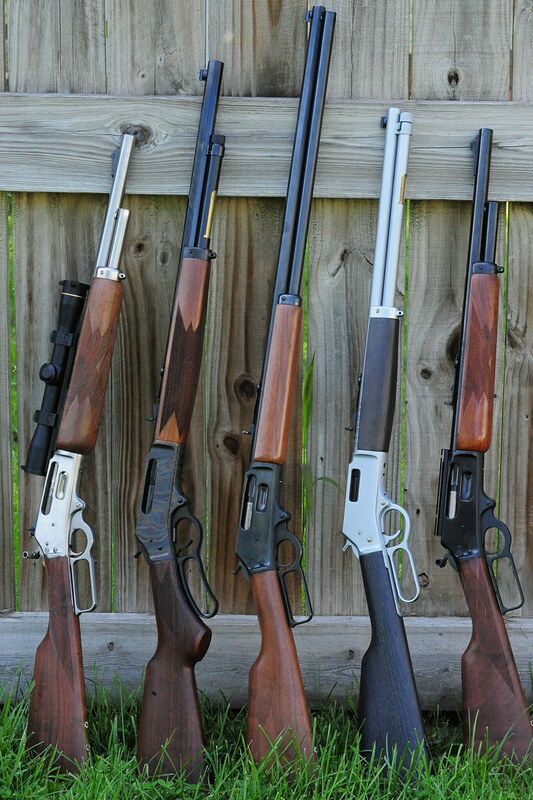 It's simply a blast with full 357's. Accurate. That rifle should fill your needs as a range gun and to hunt hogs. I had one in 45-70, no issues with it. 550.00 is a pretty good price. At that price, it’s better than a Remlin, which I NEVER advocate buying. A JM stamped Marlin .357 would tack on another $200 unless you hit the pawn store lottery like I did when I picked up a well used specimen for $400 out the door. As a contrast, I grabbed an 1894CP with a Trigger Happy kit and Williams peep in mint condition for $1000 and felt pretty good about it. If a Henry appeals to you (I also can’t get past the lack of a loading gate) go for it. It certainly is a good enough price. I have this on on my waiting list too. In .357. Even if there is something goofy with it Henry will service it forever. I would have bought that without much deliberation. A .357 Henry has been on my wishlist for a while, just never high enough that I'd order one. Case hardened with leather adornments and a big loop? All positives to me.